Trash To Couture: All About Sleeves: How to add the "cold shoulder"
All About Sleeves: How to add the "cold shoulder"
In my last post for my "All About Sleeves" series, we discussed how to add the bell and flounce cuff to sleeves here. 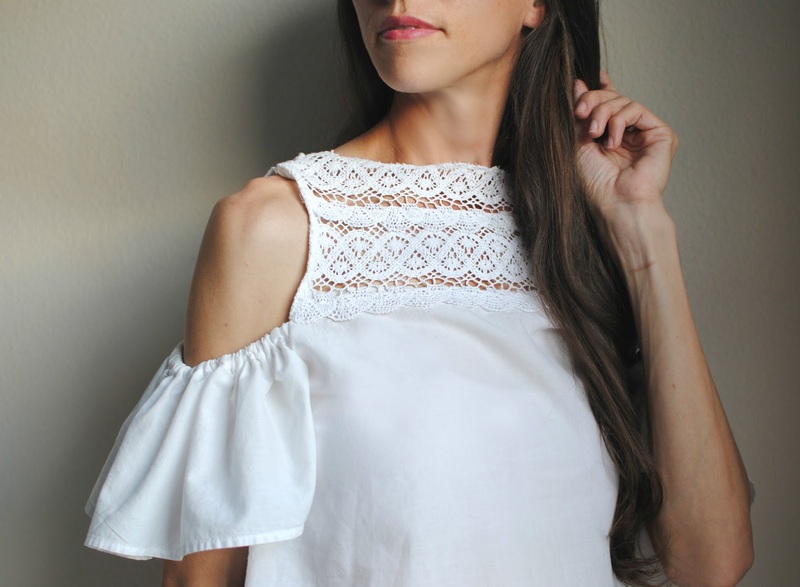 It's the "year of the sleeve" and brands are taking advantage of this trend by adding interesting cutouts, oversized ruffles, and off-the-shoulder looks to name a few. 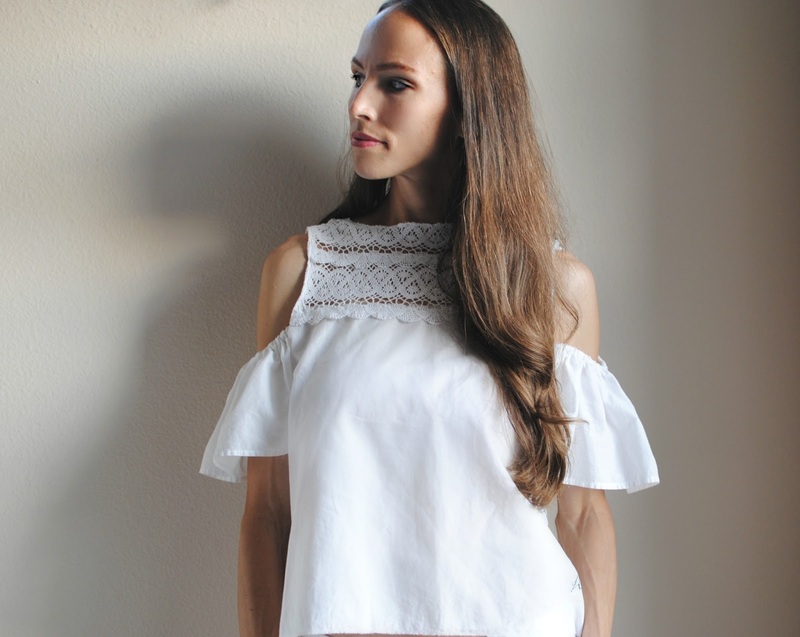 The great news is you don't have to go buy new tops to get in on the trend. 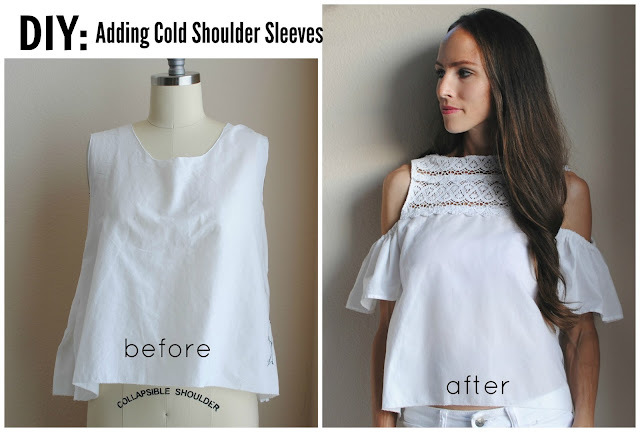 In this post I'm showing you how to add a cold shoulder sleeve to a sleeveless top. 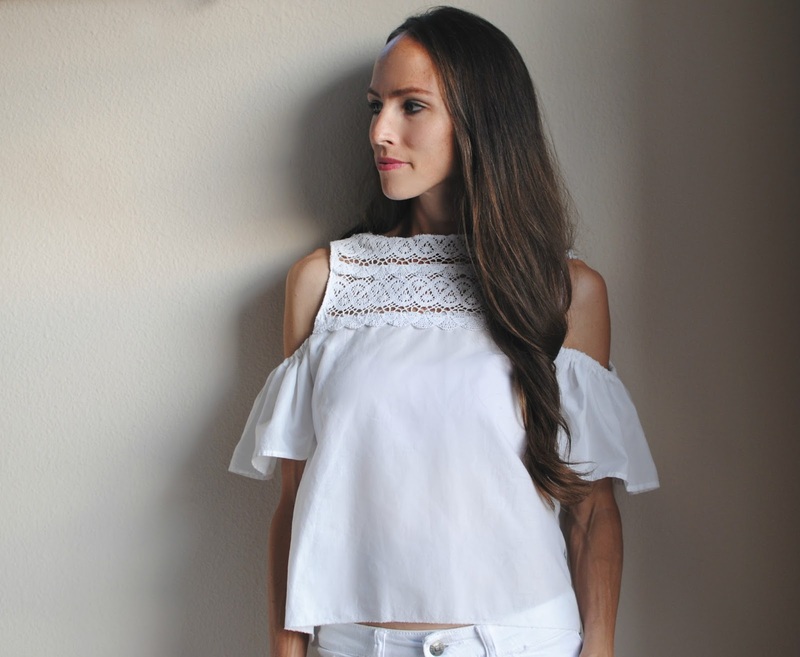 This is an easy update to a boring top or a fashion-froward way to add extra coverage. 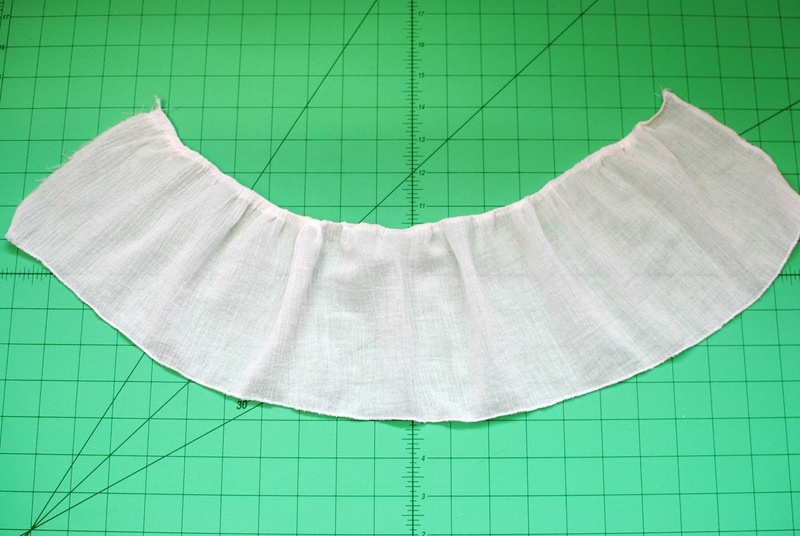 I'm updating a sleeveless linen top I made as a sample from a old pillowcase. 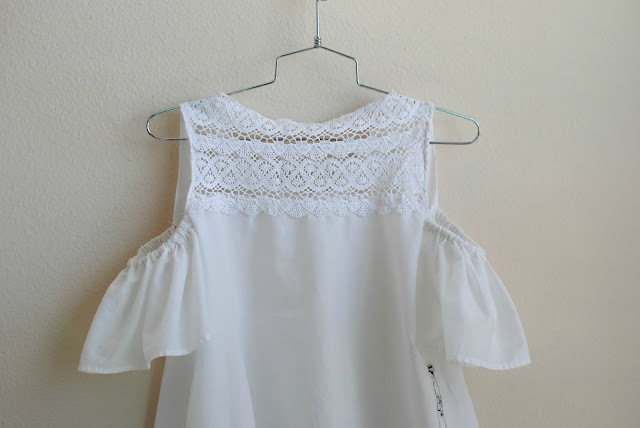 I also updated the collar line using this tutorial here. Begin by using a material similar to your top. 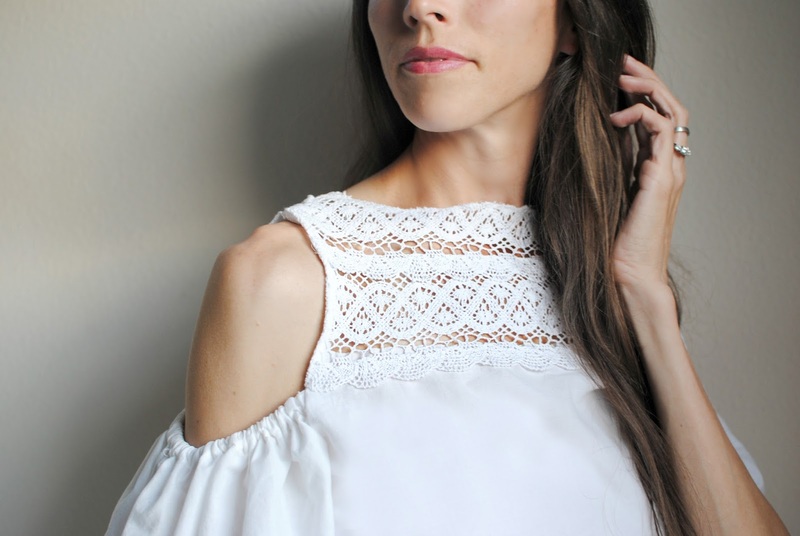 If you're having trouble finding a textile that matches use something completely different like a lace or print. It will make more of a statement and not look "off." 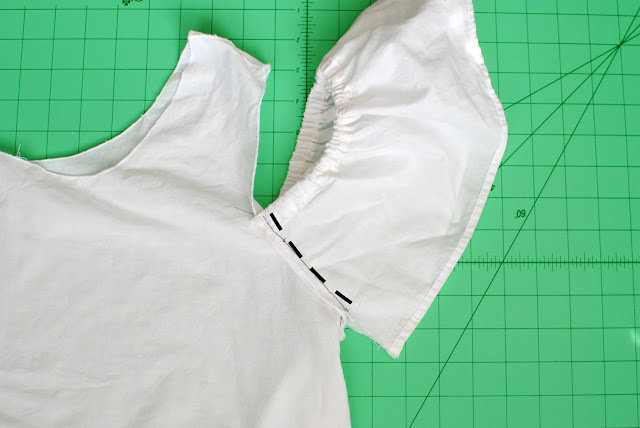 Cut a strip of your fabric measuring the length you want your sleeve plus 1 in. for hem allowance. The length should measure your arm circumference x 2. 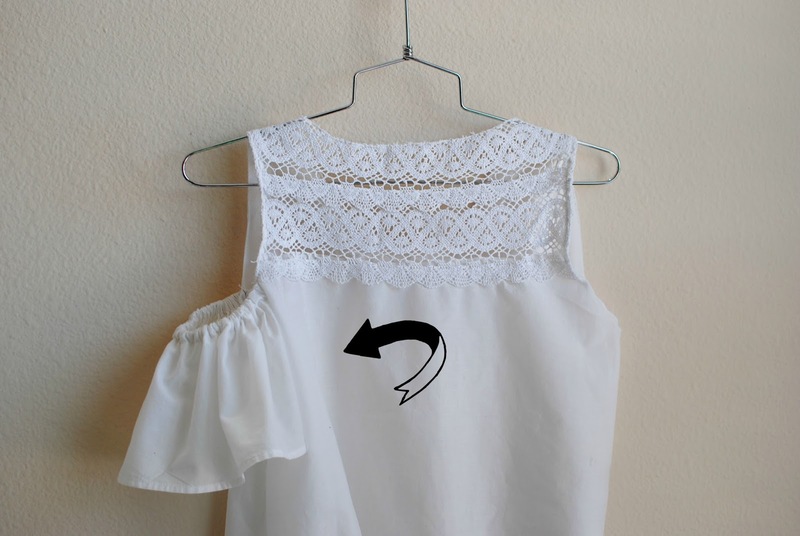 I wanted a short sleeve but you can go as long as you'd like. Mine measured 8 in. when finished so 9 in. with hem allowance. 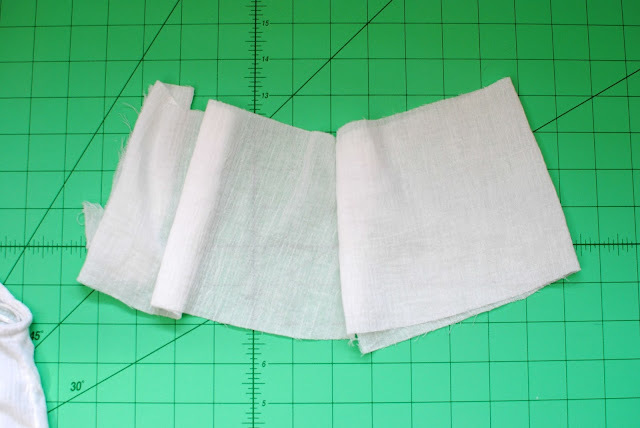 Finish the bottom edge of your strip by folding over 1/4 inch and another 1/4 inch, press and sew. For the top fold over 1/2 an inch and edge stitch creating a casing for elastic. Or you can finish the edge first. 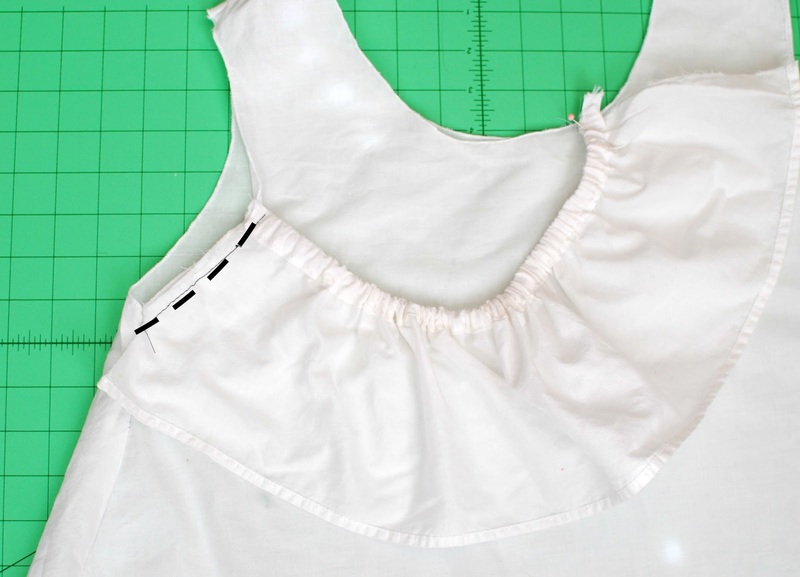 Then baste stitch, and gather till you get your arm measurement width. The elastic should comfortable fit around your arm. Using a safety pin glide the elastic through your casing and tack them into place on each side. Figure out where you want your sleeve to start. Mark both front and back. 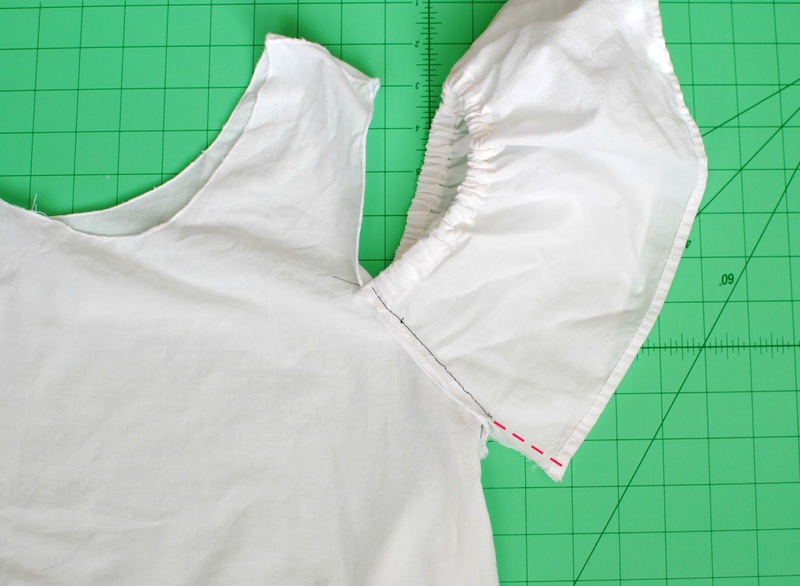 With right sides together pin the front to front and sew along the arm hole. Flip to the back and repeat. 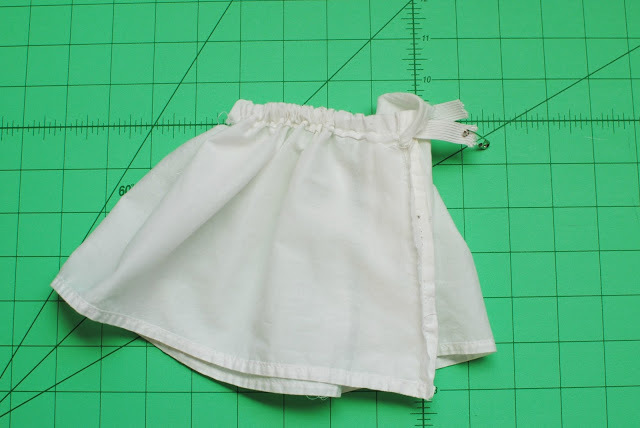 With right sides together sew up the inner sleeve seam. I'm trying it. Let you know what I end up with. oh, that shirt she wore beautiful design, harmonious color. thank you for sharing. i like this shirt.